Gone for a week of Labrador chaperoning in Central Oregon, I managed to mostly stay away from beer destinations in the area. Not such a bad thing, honestly. Each day my email inbox filled with messages deserving comment. But I had no time. Until now. 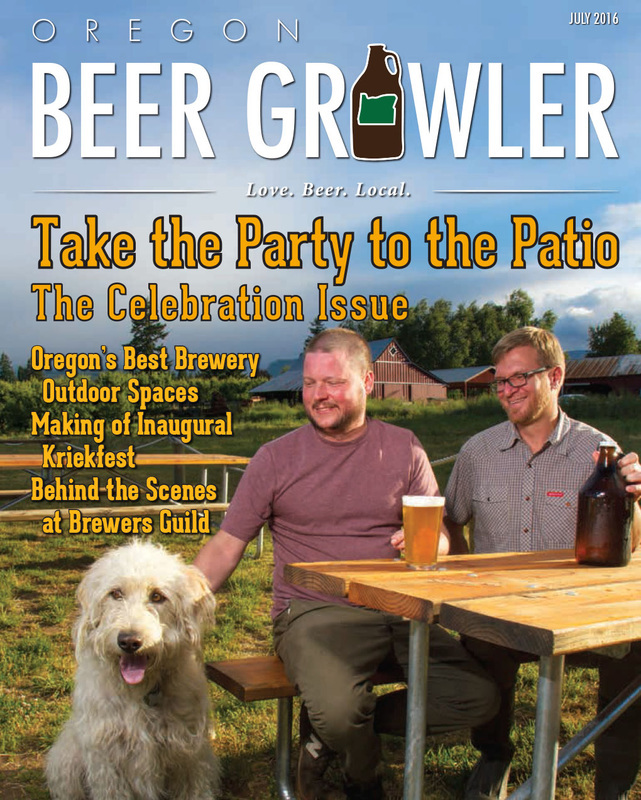 You certainly know of the Oregon Beer Growler, the beer-centric publication founded in 2012 that covers our beer scene. Last week came news that the OBG has been acquired by News Register Publishing of McMinnville, a family-owned firm with roots in the area dating to 1866. In a press release sent to "past and prospective clients and distribution points," president and publisher, Jeb Bladine, announced acquisition of the Beer Growler's name and publishing rights from founder Gail Oberst and owner Will Oberst (Gail's son). I do not know the circumstances surrounding the sale of the Beer Growler. Was it sold because it was doing well or because it wasn't? Inquiring minds wonder, but that's not the sort of information you're apt to find in a press release happily announcing an acquisition. Particularly if the news is bad. Bladine said they hope to retain the services of some of the OBG's "favorite contributors." Continuity is a good strategy, for sure, and it will be a neat trick to swing given the Growler hasn't been paying staff or freelance contributors in recent times. Perhaps things were not going so well. I've discussed the reality of beer writing here in the past. 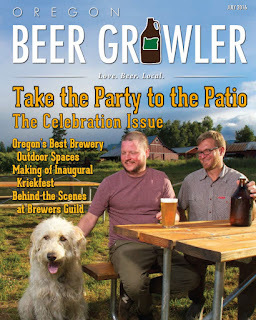 My experience is that beer-centric publications are slow to pay. I've had national magazines fail to pay for articles for months after publication. I suspect there's such a large pool of competing writers that publishers aren't worried about timely payment. It's a good reason to avoid this type of work as a vocation. You might say the Beer Growler took the slow pay thinking to a new level by not paying at all. They did so without notice. I know because I wrote an article for a recent issue. There typically aren't contracts with this kind of writing. You pitch an article and an editor accepts (or rejects) it at an agreed upon rate, which is pretty low in the case of the Growler. In this case, I later learned they weren't paying right now. Other contributors confirmed they were months behind. Word is, the News Register folks are assuming no responsibility for the debt of the previous owners. Which means Mr. Oberst is stuck with past bills. Regular contributors and staff who continue on with the magazine will probably be compensated for past work. Others may well be out of luck, although there's been no formal announcement along those lines. My own view is the Beer Growler has evolved and is better today than it was four years ago. Editor Andi Prewitt does a nice job procuring and managing good content. I know she's excited to work with the News Register folks, who have prior experience in this area, having produced the Oregon Wine Press for the past decade. I'm not sure we need more beer publications here. Virtually every print outlet in the area has jumped on the craft beer bandwagon, often with less than stellar competence. But I hope things work out for the new Beer Growler, that they continue to evolve and improve. Paying contributors and staff in a timely manner would be a nice start. This makes sense they would acquire it. They own Oregon Wine Press as well.